I have been keeping busy doing small projects. I have loved doing these cupcake pin cushions the pattern for these can be found on Esshaych Free Pattern Friday. 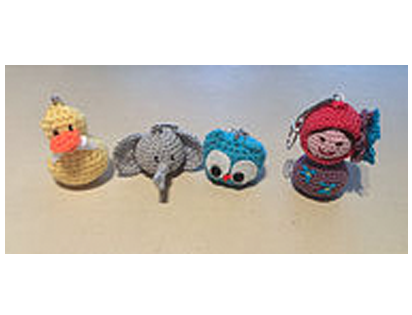 I thought I would have a go at doing Amigurami so I made these cute key rings.